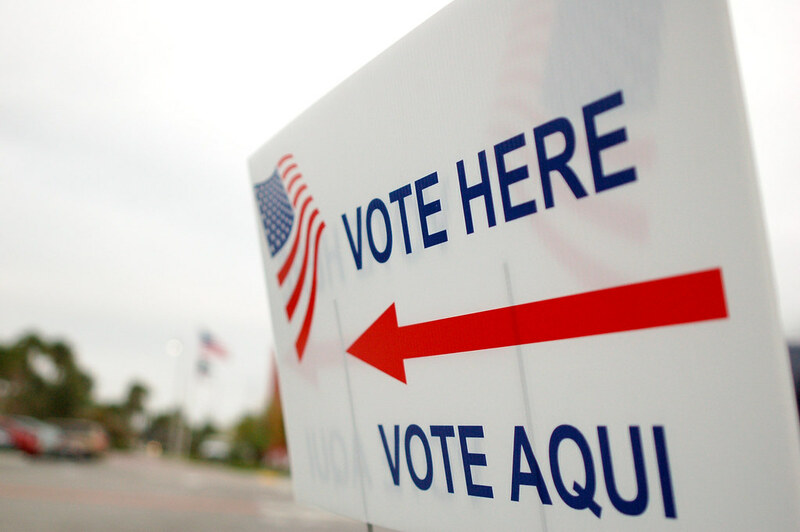 On Monday April 17th, a Federal Judge ruled that the voter ID laws enacted in Texas were enacted with not only the intent to discriminate against minorities but with the purpose of discriminating against those minorities. This is a huge ruling with implications for both the law, S.B. 14, and the state of Texas as a whole. This ruling has the potential to leave any law related to voting coming out of Texas subject to federal approval in the future. However, this ruling is far from out of the blue. The story of S.B 14 has been a back and forth saga through the courts since 2011. Let’s take a look at the history of this bill, this most recent ruling, and what that ruling means. S.B. 14 is a law which substantially limits the acceptable types of voter IDs in Texas, often in particularly odd ways. For instance, a hunting license is acceptable ID to vote but a student ID would not. This is just the tip of the iceberg to what represented an enormous amount of limitations on what was acceptable identification to allow somebody to vote. While there were suggestions to make funds available to educate the public on the details of the new restrictions and assist poorer voters to obtain sufficient identification, these suggestions were shot down at every turn and nothing of the sort made it into the final law. When this law was initially passed in Texas in 2011, the Voting Rights Act (VRA) gave the Attorney General (AG) the power to review and shut down voting laws coming out states which had historically had discriminatory voting practices–think Jim Crow and the South. With the effect the limitations would have and the lack of education on these effects in mind, the Attorney General at the time-Eric Holder-exercised this power and shut down the law. While challenged this in the courts, AG Holder’s decision was upheld. However, in 2013, a Supreme court ruling known as Shelby substantially limited the powers of the VRA. Section 5 of the VRA allowed the federal government to pre-clear any voting laws coming out of states that previously had issues, as discussed above. In Shelby, the Supreme Court analyzed the constitutionality of the VRA and Section 5 in particular. They ultimately determined that, while Section 5 itself was constitutional, Section 4 was not. Section 4 was the part of the VRA that allowed enforcement of Section 5. Without this section, the pre-clearance requirements of the VRA were rendered essentially toothless. The reasoning behind the Supreme Court’s decision was that justifications for the VRA’s restrictions-the history of discriminatory voting practices-was not the same concern it was when the VRA was enacted in the 60s. Whether this is true or not, the Supreme Court decided that the provisions of the VRA needed to be reviewed by Congress if they were to remain in effect. In the wake of this decision, many states-Texas, Mississippi, North and South Carolina-passed voting laws which had previously been shut down as potentially discriminatory by the federal government. Among these was S.B. 14. However, the law was immediately challenged in court. In 2014, the law was determined to have discriminatory intent and purpose and struck down. It was then appealed to the 5th Circuit Court of Appeals, which upheld the ruling in part, but asked the lower court to revisit the matter of discriminatory intent. This brings us to ruling of last week. However, as opposed to the initial ruling, there was one huge difference–AG Jeff Sessions. Jeff Sessions has made it clear that the potential for discriminatory voting laws is not a priority under his watch, and told his attorneys at the Department of Justice to drop this case altogether. Despite this, and a request from the DoJ plaintiffs to drop the case, Judge Ramos-the judge handling this case-looked to the facts already submitted in coming to a resounding yes on the discriminatory intent and purpose behind S.B. 14. Discriminatory intent is shown where racial discrimination is a-although not necessarily the only-motivation behind a governing body’s decision. Discriminatory purpose goes a little further than intent, implying that the law was enacted because of the adverse effects on an identifiable group. A law demonstrating discriminatory purpose or effect is unconstitutional. A discriminatory impact is not enough on its own for a law to be unconstitutional on its face, there needs to be at least a partial discriminatory motive. Judge Ramos found such an intent and purpose behind S.B. 14. In determining to this, she looked to a number of things. She noted not only the disproportionate impact that the carefully chosen ID limitations had on minorities, she also pointed to racist remarks made by legislators during deliberations on the law, the bypassing of usual procedures in passing the law, and the outright refusal to include anything which would help the public understand the laws. Additionally, any amendment proposed to make the provisions less harsh–easing registration procedures, reducing costs to purchase the IDs necessary to vote, expanding the acceptable types of identification-were all rejected with essentially no consideration. In fact, the Texas Congress was specifically advised of the disproportionate impact that the law would have and advised on a number of ways to lessen this disproportionate impact on minorities-they rejected all of them. The stated goal of the bill was to avoid voter fraud. However, despite the Texas Legislature being shown evidence that in person voting happened in about two out of every twenty million cases in the last decade and provided evidence that mail-in voting was much more commonly vulnerable to fraud, the Legislature didn’t feel the need to include any provisions on mail-in voting and focused exclusively on in-person voting. With all this in mind, Judge Ramos ruled that she could find no non-discriminatory purpose for how Texas had approached S.B. 14. Unfortunately, despite years of rulings saying this law was intended to prevent minority voters from being represented at the polls, there’s a good chance this law will win out in the end. Jeff Sessions has, as Attorney General, told the attorneys of the DoJ to cease litigating the case completely. While Judge Ramos followed through with the case, Texas will certainly appeal her decision. This appeal will probably have no lawyers opposing Texas, unless an outside group steps in to handle the litigation. If this is the case, the chances of beating this law drop precipitously. However, should somebody step in to help fight the law this is a case that has a good chance to make its way to the Supreme Court. As it stands, even with the addition of Justice Gorsuch, the makeup of the court makes it likely that this law would be struck down and Texas would continue to require preclearance from the federal government for any new law effecting voters. This hasn’t been a particularly good year for Texas when it comes to their voting process being ruled racially discriminatory. Two separate courts have already ruled, this year alone, that Texas’ district maps are gerrymandered to “pack and dilute” minority votes. The determination of Shelby limited the VRA on the premise that discriminatory voting practices were a thing of past generations. However, this ruling and many other rulings this year have shown the opposite. It is unlikely that congress, in its current state, will pass any legislation giving teeth back to the VRA. However, as cases like this are appealed to the Supreme Court, they have the potential to create precedent for a future court ruling reevaluating Shelby. However, it seems unlikely in the near the future. Only time will tell how momentous this ruling may be, for now Judge Ramos’ ruling will serve to protect voting rights for minorities in Texas.